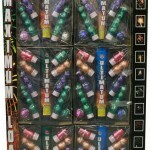 48 Shots – 84 Breaks KABOOM is an outstanding assortment of shells and sure to be a crowd pleaser at only State Line. 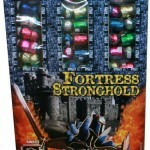 Fortress Stronghold is the ultimate mortar assortment selection. 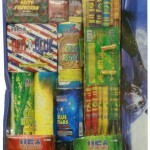 This assortment offers a fun filled and exciting evening of fireworks action. One of our best mortar assortments. 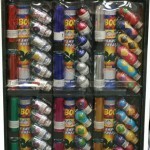 Serious Equipment is a large selection of artillery shells including ball shells, canister shells, peanut shells & triple break shells. A box full of fun is in Serious Equipment. Just like the name says this Ultimatum if you love mortars than the ultimate is for you and packed with adventure at a great low State Line Fireworks price is to low to list. 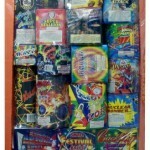 The USA Battle Buster Assortment is a compilation of artillery shells, bottle rockets, mortars and more all put together in a fantastic value added assortment package that will not disappoint you. 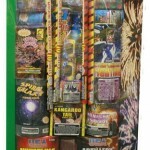 A Lotto Fireworks This one is Certified Spectacular! This assortment is sure to be the hit of the party. See photo for details about the fantastic assortment value. The Boss is an awesome state of the are assortment. 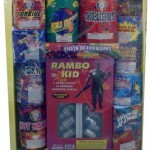 This package is the ultimate and contains everything you need to enjoy the 4th of July or any other celebration. Package includes the Turbine, The Claw, Sky, Rambo Kid Shells, Hot Hawaiian, Twitter Glitter, Troubleshooter, World Eruption, Wicked Raider and more. 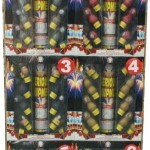 An outstanding value at State Line Fireworks.